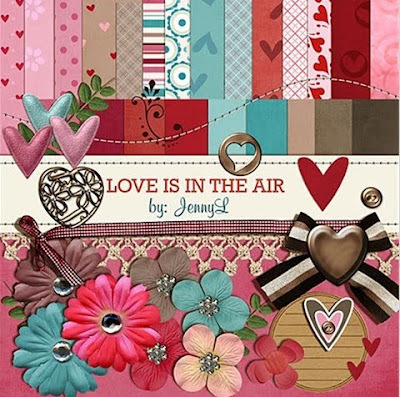 Here's my Valentine Digi Kit inspired "LOVE IS IN THE AIR" digital scrapbooking kit that is already up at ARTSCOW. I had for free late December and early January and I hope you had the chance to add it to your kits at Artscow. Now, if you want to use this kit for your photobooks and other projects you'll be required to add $2.49 on your purchases. If you use my templates that I made using this kit then there's no charge on your part. Check out this kit and my templates and make Love photobooks. BTW, this kit is not downloadable, you can only use it inside Artscow.